There’s no better punctuation to your outfit than a pair of great sunglasses. Take icons like Jackie Onassis and–more recently–Blair Eadie for example. 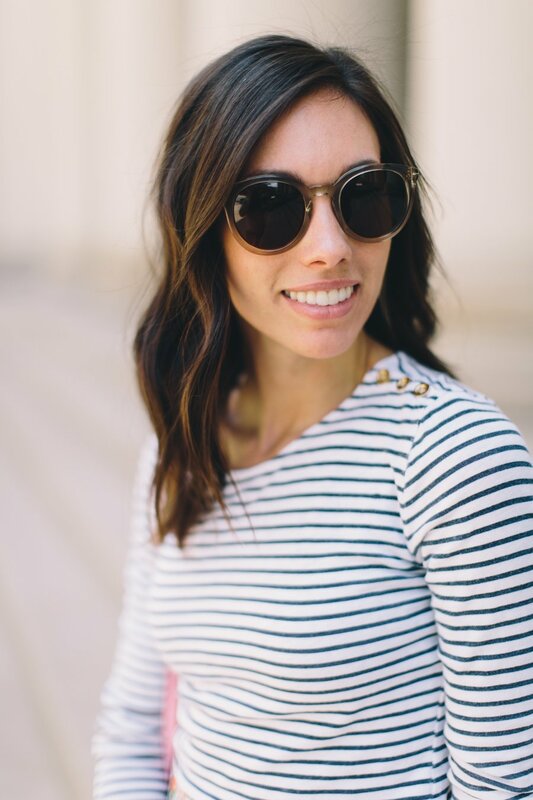 They embody the idea that the perfect pair of sunglasses finishes your entire look, especially when your favorite sunnies are so effortlessly you. Cateye sunglasses scream for feminine outfits. I prefer oversized to a smaller pair in the cateye shape, but that is completely up to you. 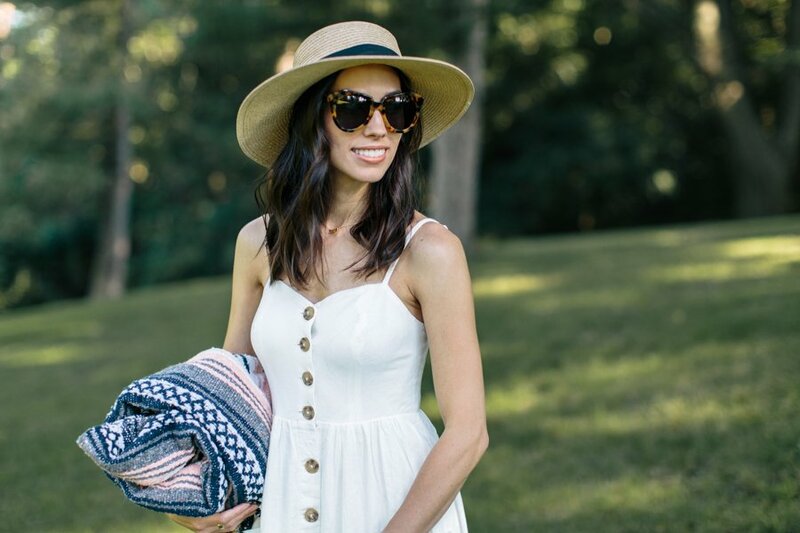 This pair of neutral round shades have been my most-worn during the spring and summer months. They’re a bit more playful in their rounded shape and lighter color. I think they look fantastic with casual outfits, but I especially love them with pastels and florals. I was most surprised when this pair of sunglasses landed in my local Nordstrom, mostly because Celine sunglasses tend to be very oversized. I was thrilled to stumble upon this pair, which were a decent fit for my smaller face shape. 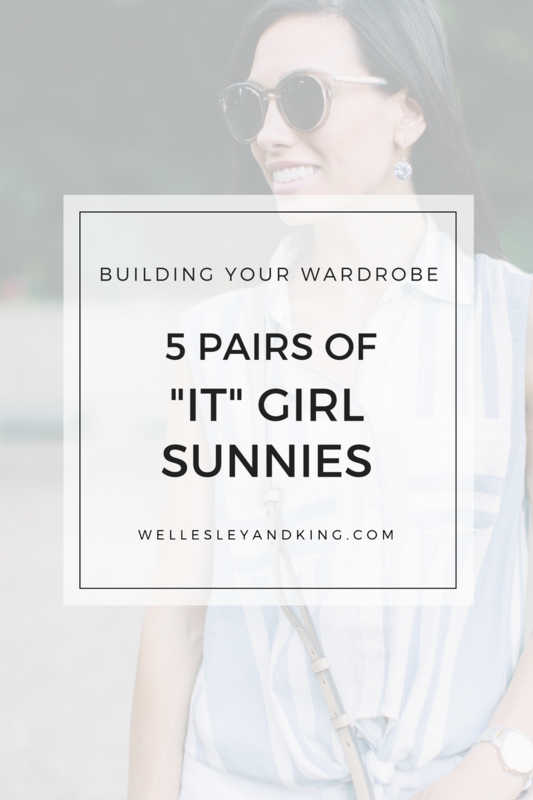 I find myself reaching for my wayfarers when I’m running around in altheisure, but they’re also perfect for casual sundresses and jeans. My particular pair actually folds up into quarter size, so they’re amazing for packing in my purse for work or travel. What sunglasses (shapes or brands) do you favor? Is your collection large, small, or somewhere in the middle? Let me know in the comments below!